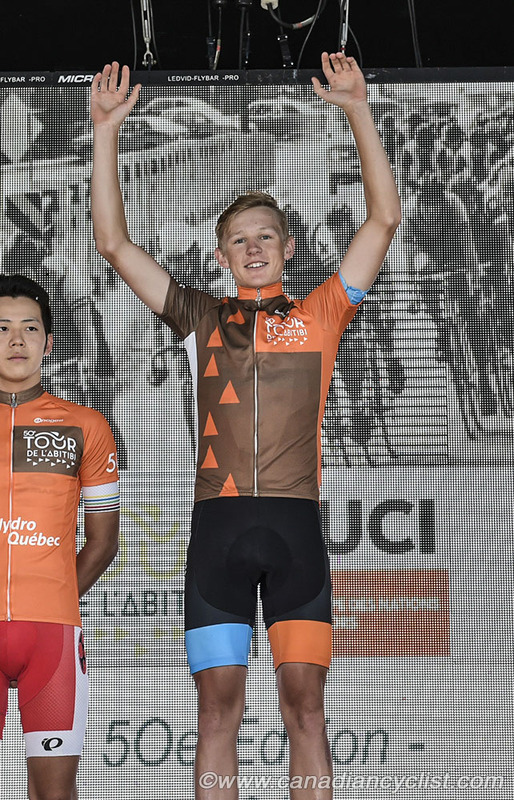 Stage 2 of the Tour de l'Abitibi saw a complete shuffle of the Jerseys, with all four going to new riders after Stage 1 winner and race leader Riley Pickrell (Team Canada) suffered a flat in the final three kilometres. American Ryan Jastrab (Alterra Home Loans) is the new race leader after winning the second stage. 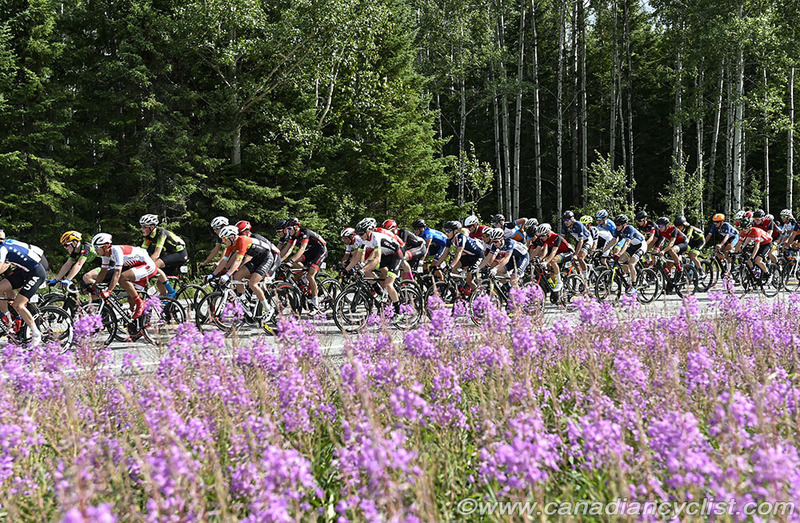 The 137 kilometre stage was a replacement for the original 96 kilometre circuit race intended for Lebel-sur-Quevillon. Forest fires in the region mean that the planned host town did not have the resources to present the stage, so a new one was hastily planned - a single square loop starting and finishing in Val d'Or. Multiple attacks could not manage to gain more than 90 seconds before Canada, France and the U.S. national squad would work to bring them back. However, in the final 25 kilometres, a group of half a dozen did manage to sneak away. 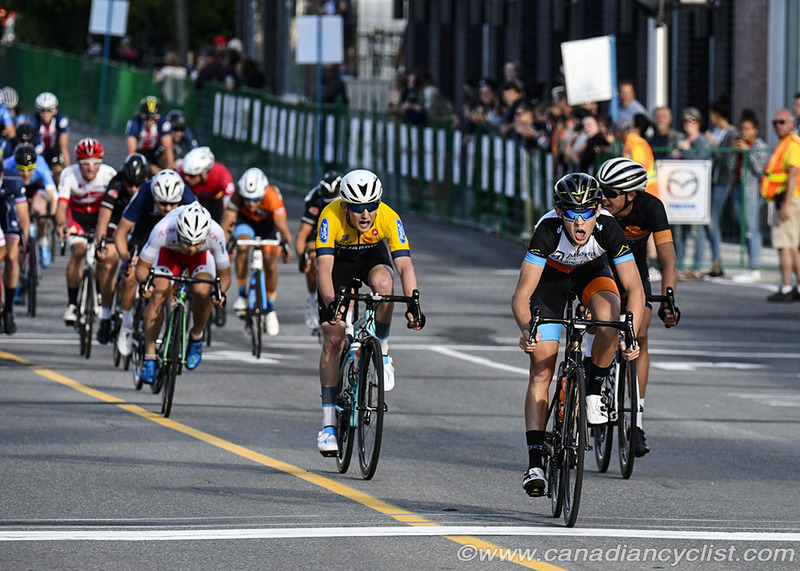 The gap was shrinking rapidly in the final kilometres, but then Pickrell flatted and Team Canada stopped chasing, allowing three remaining riders to stay away - literally getting caught as they crossed the line, with the pelotono given the same time. Jastrab took the win ahead of Sam Cook (Desjardins Ford p/b Cromwell) and Kyle Kirby (Team California), with Taisei Hino (Team Japan) leading the field in at the same time as the leaders. Jastrab leads the GC with a two second gap over Hino, and Eduardo de la Mora (Alterra Home Loans) in third at three seconds. However, 41 riders all all within ten seconds of the leading time. Pickrell dropped out of contention for the lead after losing 47 seconds due to his flat, but is still only two points behind Hino in the Points classification. Antonin Corvaisier (Team France) holds the Blue Jersey as Best Young Rider, but was unable to attend the podium as he sought medical attention for a crash. 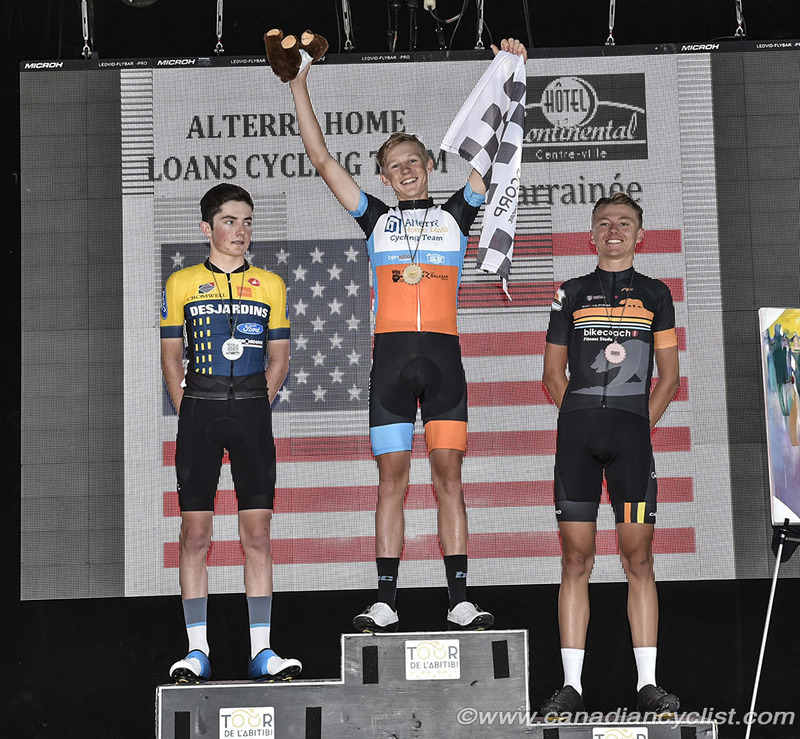 Kevin Cervantes (Alterra Home Loans) moved into the Climber's Jersey. 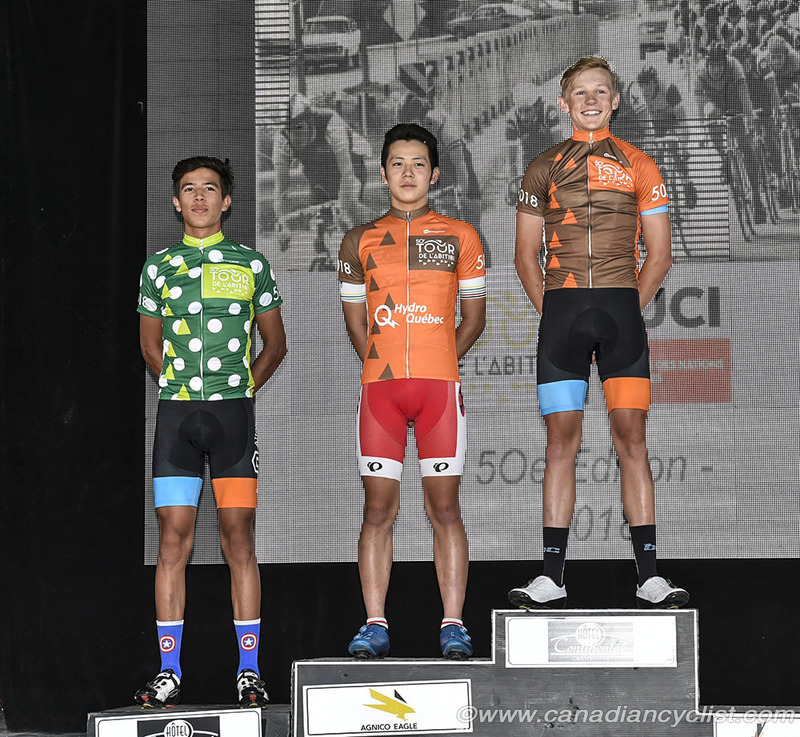 Top Canadians: On the stage was Robin Plamondon (Team Canada) finishing 12th. Overall Thomas Schellenberg (Team Canada) 6th at 6s back. 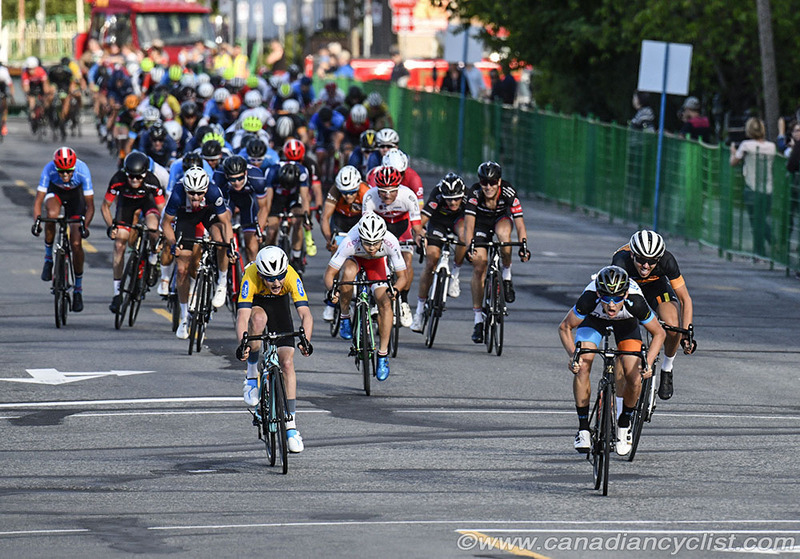 Thursday is likely to shake up the standings again with an 11.4 kilometre time trial in the morning, followed by a 52 kilometre road race later in the day. 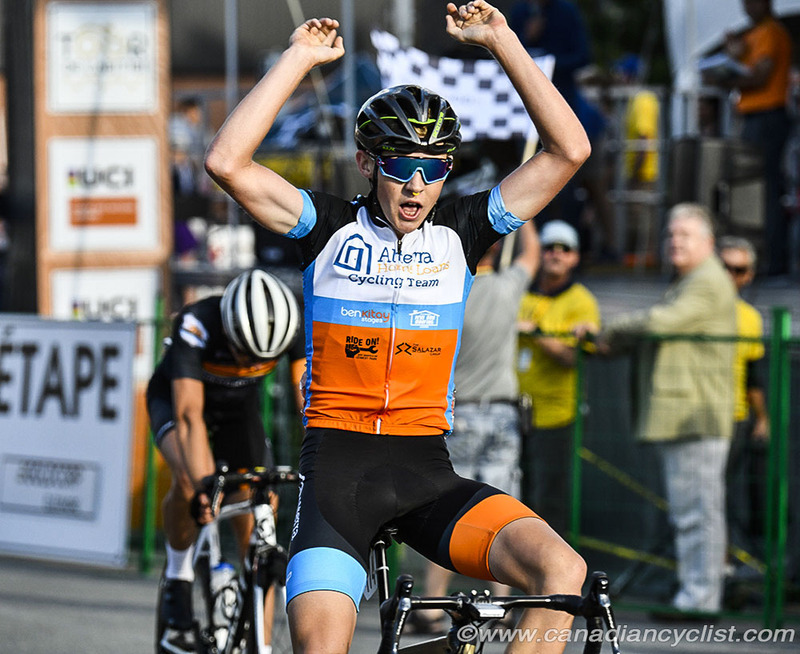 One rider to watch in the time trial will be new Canadian time trial champion Ben Katerberg (TaG Cycling), who is 20 seconds back on GC.